This might surprise you, but I am not going to suggest that electronic gaming, social media, texting and online videos get boxed up and put away for your own safety. I am not going to suggest that a full-on digital detox is the ONLY way to go for the sanity and wellness of you and your family. I am instead going to share with you what many (including myself) believe is a healthy and fun (yes fun!) way to balance our use (or misuse) of electronics in a time when it’s next to impossible to eliminate altogether. Is there something we can do other than eliminate the use of electronics for our children? What about ourselves? It can be a very frustrating message to hear of all the potential harm, yet have no solutions other than elimination or drastic use reduction. I hope to have you see there are in fact more answers! 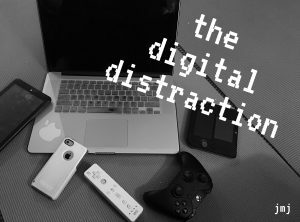 Digital distraction is a very real thing, as is digital stress, and as is electronic screen syndrome. (also known as ESS) For several years now counselors, mental health workers, addictions specialists and other therapist type professionals have spent a lot of time learning about it, diagnosing accordingly, and offering up suggested (even prescribed) solutions, therapy and prescriptions. Digital stress is a concerning and very real concern, and our teens are impacted more so as they are in such a critical stage of life as it relates to their social experience and development. Digital stress is the exposure we have to negative and harmful experiences online. Social media, texts and emails put us in front of negativity, violence, verbal attacks, shaming, frustrations and the like. Now I appreciate that MUCH is good, even great, about all of these online venues. I learn a lot, share a lot, connect and grow, and I don’t want to take away from that. I do, however, want to share the reality that a negative impact is also coming at us in volumes and at a speed we rarely reflect upon, and this is where the concern comes in. Can we, do we, handle this well? Signs of digital stress include anxiety, isolation, secrecy, anger, depression, academic challenges and various other illnesses. What can we do about the impacts of digital stress? We can talk about it with our children and teens. We can share with them that use is necessary, but misuse can be health hindering. (especially our mental health) Taking wellness ‘breaks’ is another great way to combat the stress caused. This might mean a digital detox, or perhaps any other type of non-devise-using activity that takes you to that healthy mental state. You know what feels right for you, and listening to yourself it critical for your proactive well being. When we are not proactive, the only other thing we can be is reactive, and once we are unwell, it’s a much bigger chore to nurse ourselves back to health. Another thing we can consider doing, is having more of our important conversations offline and in person. How often have you said, or heard, “I wish we had not done that over a text, we misunderstood each other”. Conversations about topics of consequence can easily go south in a hurry when we are misunderstood. Making eye contact and noticing body language can be crucial to truly appreciating communications. Electronic Screen Syndrome (ESS) is a disorder of dysregulation, and it occurs when our ability to moderate one’s mood or attention is affected. When our level of arousal is no longer appropriate to our environment, we lose our ability to respond accordingly. 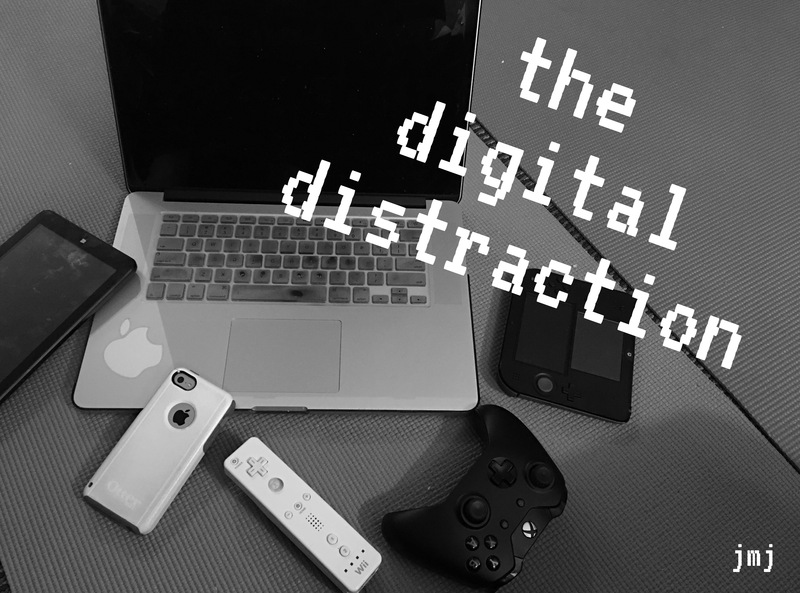 Often, the only solution we hear of is, again, digital detox. The effects of digital/electronic overuse look different depending on the person. It can show up as stress or anxiety, social disconnection or disinterest. Many studies provide evidence of digital overuse to be very detrimental to our ability to self regulate. We spend an insane amount of time looking at a screen, big or small, and the information is coming at us at a speed hard to digest at best. The amount of information coming at us can be hard to consume, and this doesn’t take into account ‘what’ the information is, and how that content, when negative, impacts us in ways we may not even comprehend. We are interacting in person much less, playing less, and expressing self much less. An addictive level of digital use, once resembling ESS, can be crippling in nature. This can result in sleep deprivation, social disconnection, irritability, frustrations, and even empathy reduction. We ‘feel’ we are connecting via social media, however we can have a false sense of connection when it becomes our ‘primary’ connection. When we move away from devise use, it takes us longer and longer to refocus following these sessions. Our moods are altered, as is our behavior. Social and emotional development can be impaired, and our awareness of self and others may be hindered. Communications are critical for the social experience, and although we communicate regularly online, it is such a different way of doing so, that our in-person verbal communication skills are not exercised or enhanced. As I write this, I sit in a very Zen-like meditative position (and stare at a MacBook screen) as my 2 boys play Minecraft on the big screen. It’s safe to say I am not the Mom that outlaws screen time, however I am certainly aware of it’s downside and very real harm. Some believe there are benefits to gaming, and that for children, there is a potential upside. These include; the development of special reasoning skills, a greater ability to think outside the box, improvements in hand eye coordination, relaxation for some, and enhanced creativity. I think it is important we know where we are at, and when we need to offset the digital use with activities that are nurturing for our brains and our emotional wellness. We CAN retrain our brains, how’s that for good news?! Mindfulness, and practices such as meditation, invite calmness, and bring us back to uni-tasking with focus and clarity. Mindfulness? Yep, Mindfulness. A cliché word perhaps? Tired of hearing about it in every blog, on every site? I’m not, and that is because after several years of living differently, and working with hundreds of children and adults in private and group sessions, I have witnessed first hand the benefits of mindful living. Now what? Less device use is an answer, but it’s not the ONLY answer, I really believe this. We can brain-train, and there are a few ways to tackle this, and it can be FUN! Everything takes practice, but I believe that some of the best things in life are a practice! What can we consider? -talk to people in person, connect and play! -set limits, and if electronic ‘fasting’ is needed, perhaps start with incorporating ‘no electronics zones’ such as the dinner table, during family game time, within an hour of bedtime, etc.